Japan is made up of an archipelago of islands lying just east of China and South Korea. Known in Japanese as ‘Nippon’, or ‘Land of the Rising Sun’, Japan has long captured the imagination of visitors to the country. The capital of Japan, Tokyo, is the most densely populated cities in the world, and whose characteristic skyscrapers and neon signs have provided the backdrop for many films and shows. Lying a few hundred miles west of Tokyo is the majestic city of Kyoto, the old capital of Japan, famous for its samurai castles and sakura, or cherry blossom, trees. At the very northern tip of the Japanese archipelago is an island known as Hokkaido, which is well-known for its health-giving hot springs and beautiful scenery (http://en.visit-hokkaido.jp/). 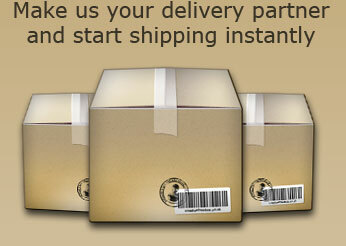 We offer a variety of parcel delivery services to the wonderful country of Japan. Whether you’re shipping to Tokyo, Kyoto, Hokkaido or any other part of Japan, you can count of us to get your package delivered quickly and securely through our network of international parcel forwarders, such as DHL and Parcelforce. We offer low-cost as well as express services to Japan, so you can choose the right option for your delivery. We also have tracking services available, so that you can check on the status of your consignment throughout its journey to Japan. You can find out more about Japan here: http://www.jnto.go.jp/.